In the following guide, we aim to answer that question by offering an in-depth review of the best camping sleeping pads currently on the market and a detailed analysis of what goes into the making of the ideal sleeping pad for every type of adventure. Let’s start off with our top picks of the best outdoor sleeping pads per category for 2019. What To Look For In A Camping Sleeping Pad? Air Beds Vs. Air Mattresses Vs. Sleeping Pads – What’s The Difference? What Size Sleeping Pad Should You Buy? How To Make A Sleeping Pad More Comfortable? What Do You Put Under A Sleeping Pad? How To Care For Your Camping Sleeping Pad? How To Clean Your Camping Sleeping Pad? The Ultralight Sleeping Pad by Outdoorsman Lab is a cult-classic compact sleeping pad with a unique air-cell design. This self-adjusting sleeping pad is surprisingly comfortable, despite it being only about 2″ thick. We whole-heartedly recommend this sleeping pad for every camper, but backpackers will especially appreciate it’s low weight, compactness, and overall durability. The Ultralight Sleeping Pad has an impressive 4.3-star rating on Amazon, with over 1,700 customer reviews. We’ve found that this ultralight pad is truly worthy of its high rating, especially when considering that it has few drawbacks. 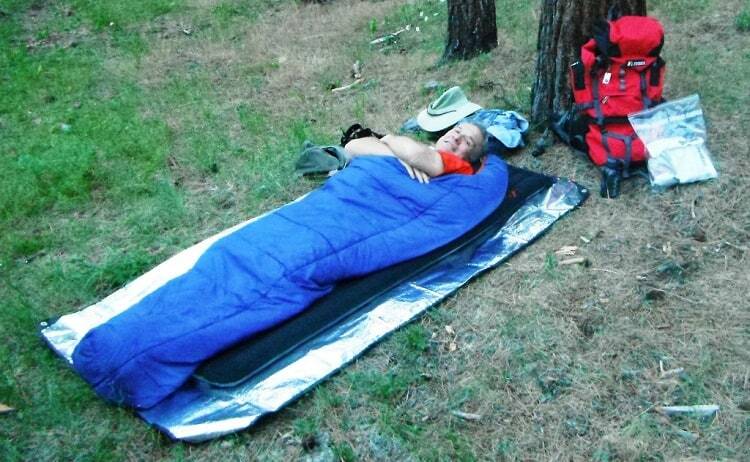 Therm-a-Rest is an outdoor gear brand best known for their sleeping pads. Their pads are often touted as being very comfortable, with models that often extremely impressive warmth ( high R-value). 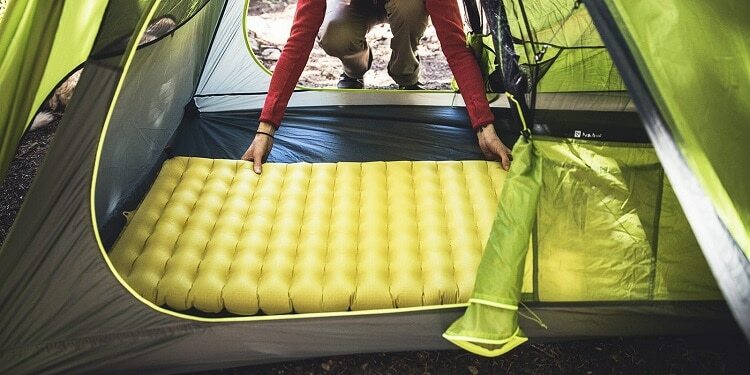 The Basecamp Self-Inflating Foam Camping Pad is a great example of their products. The Basecamp is a sturdy camping pad with a pretty traditional designed. It offers a lot of support and, despite being made of foam, is quite breathable. 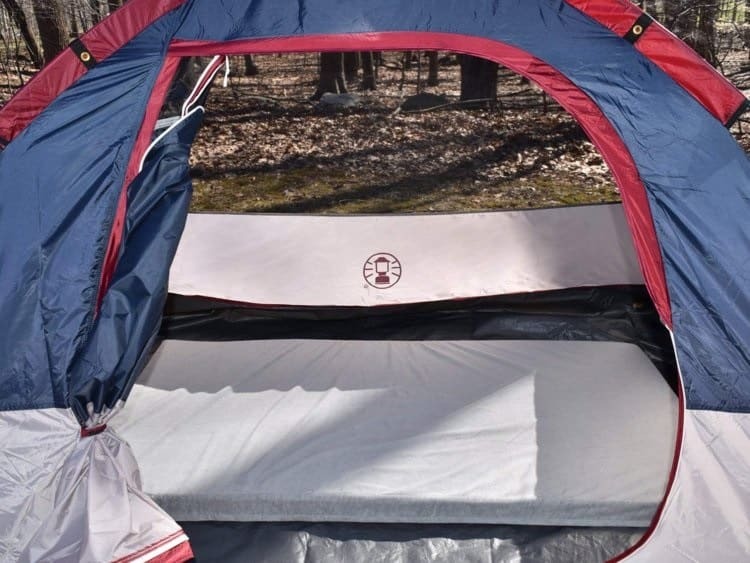 The Freeland Self-Inflating Camping Sleeping Pad is an example of a very well-designed sleeping pad that would be a great as a first sleeping pad or as a back-up for campers that often take their family or friends. Priced well under $50, this Freeland pad actually has some really neat features than more expensive pads don’t, such as a built-in pillow. Its large size, numerous color options, and self-inflating design are just the icing on the cake. Memory foam mattresses are skyrocketing in popularity, so it only makes sense that campers who value comfort above all else are crazy about foam sleeping pads. There are quite a few foam-only pads on the market, but they tend to have poor reviews when it comes to overall quality and longevity. We did the research and found that the best foam sleeping pad is BetterHabitat’s SleepReady Memory Foam Floor Mattress. 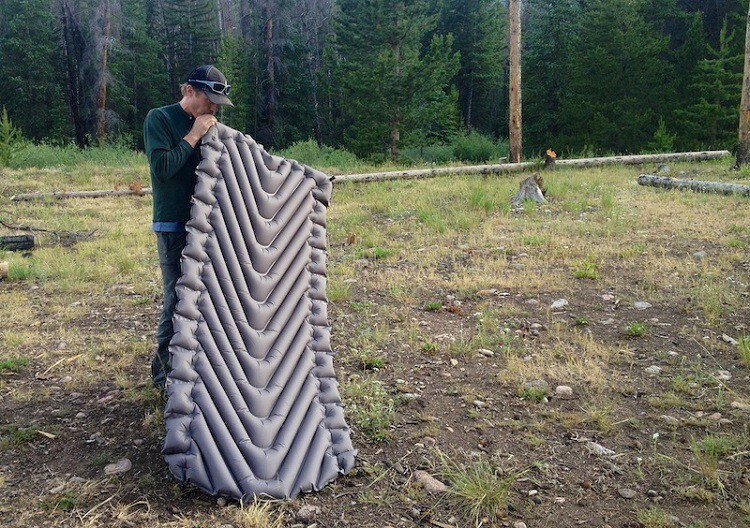 This pad is not your typical camping sleeping pad, but rather a camping mattress of sorts. Car or RV campers that don’t need to pack around their sleeping pad will find that this pad is worth every penny. Finding a sleeping pad that is suitable for camping or backpacking but is roomy enough for bigger guys can be a struggle. Thankfully with some hard work, we discovered the TETON Sports Outfitter XXL Camp Pad. The Outfitter XXL Camp Pad has over 700 positive reviews on Amazon with a solid 4.4-star rating. Despite being such a large pad, it’s surprisingly lightweight and compact. This model also has a few other features that come in handy. There are 3 main factors to consider when you’re shopping for a sleeping pad – size, construction, and R-value. 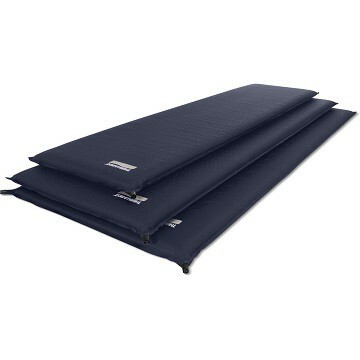 Sleeping pads come in a number of sizes, typically regular(R), Long (L), and Extra-Large (XL). Most people will find regular-sized sleeping pads to offer plenty of space. Long and XL pads are better for tall or wide individuals or if you’re sharing a pad with someone else. Try to pick a size that offers just enough width and length to be comfortable. Since you’ll likely be using a sleeping bag, the extra space of an XL pad used with a standard mummy bag will just go to waste. If you plan on sleeping directly on your sleeping pad with a quilt over top, then you can effectively go as big as you’d like with your sleeping pad since you can use every inch. There are 3 main types of sleeping pad styles, which are categorized by their construction. These include – foam pads, air pads, and foam-core pads. Foam pads are made solely of some type of foam, with the most comfortable being made of memory foam. These pads are the heaviest, but also the easiest to use as you since there is nothing to inflate. They aren’t very compact when it comes to compressibility, making them most suitable for car or RV camping. 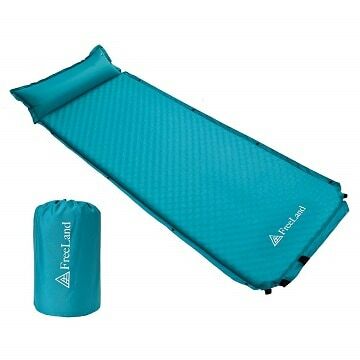 Air pads are inflatable sleeping pads that are very lightweight and tend to fold down extremely small. These are most popular among backpackers and campers that use minimal gear. Air pads may self-inflate or will require you to inflate them manually with your breath. Foam-core pads offer a cushy medium between foam-only and air-only. These inflate like an air pad and many do have self-inflation capabilities. They aren’t as bulky or heavy as foam-only, but they have more plushness than air-only. An R-value rating gives you insight into how much insulation a sleeping pad will give. These values are often denoted as R with a number, such as R1 or R5. The higher the number, the more insulative the sleeping pad will be. For winter camping, R-value will be important. If you’re a casual camper that only ventures out in the warmth of summer, then R-value likely won’t affect you much. New campers may not be familiar with the differences between air beds, air mattresses, and sleeping pads. This can make shopping for what you need even more confusing. Air beds and air mattresses are two terms that are often used interchangeably. However, traditionally air beds are inflatable plastic beds, which may or may not be the same size as your standard beds (i.e. Twin, Queen, King). Air beds usually aren’t flocked either nor do they usually have any type of protective material underneath. While some sleeping pads do inflate with air, they are still properly referred to as sleeping pads and not air beds. Air mattresses often have a soft, flocked top and the higher-end models may even have a non-slip bottom. Air mattresses also come in standard mattress sizes, with Twin and Queen being the most common. You can certainly find these in Full and King as well. 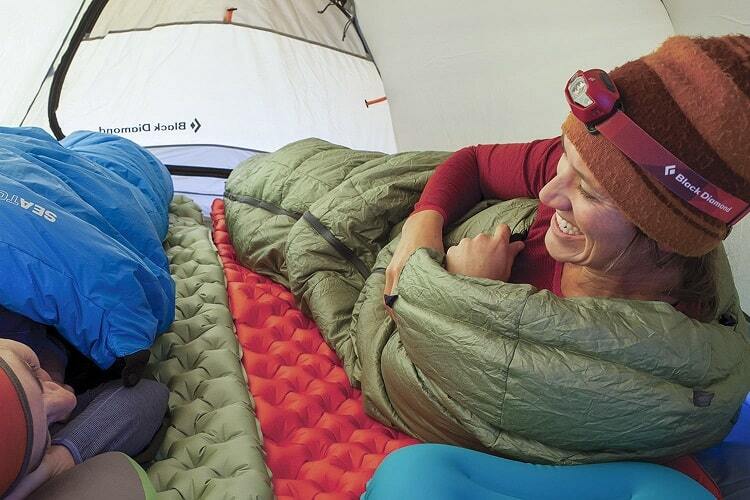 Sleeping pads are the camping-friendly alternative to air beds of any kind. They are often smaller, with only the more expensive specialty pads being a Twin size or larger. Sleeping pads are also not as thick as standard air beds – often only being a few inches thick. The majority of sleeping pads do not require any type of pump to inflate. 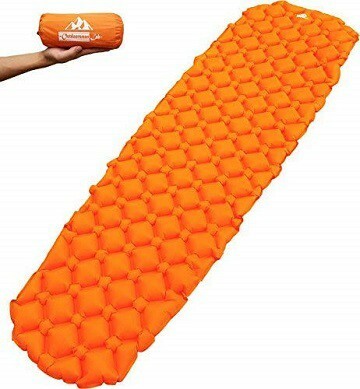 Either the sleeping pad will take 10-20 full breaths to inflate or it will self-inflate, depending on the design. Most foam-based sleeping pads require no inflation and are simply used as is. The slimmer size of sleeping pads makes it perfect for single-person use within a tent or even in a hammock set up. They are also exceptionally lightweight and compressible, packing down into a compact shape that can be carried in or on a backpack. For the majority of camping events, you will want the comfort and durability of a sleeping pad. In situations where you’re car camping or “glamping”, a lightweight air mattress might be a possibility if weight isn’t an issue and you want a bed-like feel. Sleeping pads come in a number of sizes, though they will differ between brands. Most brands will categorize their pad sizing as Regular, Long, and XL. You can expect Regular/R sleeping pads to offer enough space for the average adult woman or man, up to about 6′ tall. Taller individuals will benefit from the extra length of a Long/L pad. If you’re overall a larger person in height and weight, then an XL pad will be perfect. Aside from your height and weight, you also need to consider the size of your shelter. Most 2-person and larger tents will be able to fit at least 2 standard sleeping pads. If you need an XL pad, you’ll need to double-check the floor dimensions of your tent to make sure the sleeping pad you want will fit. Don’t forget about the packed size of your pad as well. If you’re car camping then the packed size of a sleeping pad isn’t as much of a concern. However, if you plan on backpacking, you might regret your decision to get a bulky pad when you’re stuck carrying it for hours. We recommend returning the sleeping pad if you find it to be truly disappointing and uncomfortable. But if you overall really like the pad and only find it uncomfortable under certain situations, there are usually some quick fixes. Firstly, always set up your tent on the flattest ground possible. Sloping, uneven ground or rocky can not only damage your tent floor and your sleeping pad, but they’ll also affect your quality of sleep. If you’re still finding your sleeping pad to be a little stiff you can look into adding more cushion either between the tent floor and the pad or between your sleeping bag and the pad. A foam camping mat or even a thick wool blanket can be placed under your sleeping pad to help with shock absorption. A neat trick is to use interlocking foam flooring pieces, which are quite affordable and effective. These foam flooring pieces are ideal for bigger tents where you’ll be getting more foot-traffic inside (i.e. a family-size 8 person+ shelter). A camping quilt can also work well for placing between the sleeping pad and your sleeping bag to add a little more plushness. R-value is a measurement of thermal resistance that you’ll see when shopping for sleeping pads. A standard R-value test involves a cold chamber kept at a stable temperature and the use of two metal plates which sandwich the sleeping pad. The bottom plate has an electrical current running through it at a steady temperature that’s higher than the cold chamber. The R-value measurement is then taken based on how well the sleeping pad maintains the warmth of the bottom plate. The less electricity the plate must use to maintain it’s warmer temperature, the more insulative the sleeping pad is. In simple terms, the higher the R-value rating, the warmer the sleeping pad. As a general rule, sleeping pads with an R-value of 2 or less are best for summer camping as they offer very little insulation. Moving up to an R2 to R3 rating would be ideal for general 3-season use. R4 to R5 is reserved for winter camping, while a rating of R5+ is for alpine or extremely cold conditions. A well-built sleeping pad will need nothing under it, meaning you should be able to place it directly on your tent floor. As mentioned earlier, if discomfort is the issue then there are some different options to add more cushion. If instead, you’re concerned about wear-and-tear or you’re looking for additional warmth, you have a couple options. A closed cell foam camping mat is a great solution for campers that want a barrier between the tent floor and their sleeping pad for additional warmth. While it isn’t thick enough to provide much cushion, it will help with thermal insulation. Worth mentioning is that you can put your sleeping pad on your camping cot. Sleeping pads made of pure foam don’t typically require special care, but air pads and air + foam core pads should be treated a little more carefully. After all, while a little tear in a foam-only sleeping pad usually isn’t a huge deal, that same small tear in an air pad can mean you’ll literally be sleeping on the ground. If possible, always try to protect your sleeping pad by keeping in its stuff sack inside your backpack. Strapping it to the bottom of your backpack will save space, but it also means it’s going to be the first thing that hits the ground when you set your bag down. When space is tight you can also strap it to the top of your pack. This offers more protection, but only if you’re hiking down easy trails. Otherwise overhanging trees branches or rocks may snag your pad. You’ll also want to make sure you follow the manufacturer instructions for cleaning and off-season storage. Cleaning a camping sleeping pad is usually pretty straight, but always read what the manufacturer recommends before starting. After every camping trip you should clean off your sleeping pad. While a little dust isn’t going to hurt it other substances like insect-repellent sprays, any chemicals, pine sap, or spilled food must be removed. Alcohol wipes or gentle soaps will work well for these types of accidents. Once your camping season is over it’s time to completely wash the sleeping pad, regardless of how well you’ve been spot cleaning it. The reason for this is to make sure any oils, bacteria, and other grime are 100% removed from the pad before you put it away. Keep in mind, if you sleeping directly on your sleeping pad without a sleeping bag, you’ll need to fully wash it much more often. Use only manufacturer-approved detergents and cleaning methods when washing your sleeping pad. After the final wash you’ll need to completely dry out the pad, ideally outdoors, but not in direct sunlight. Your now totally clean and dry pad can be stored in your home until the next camping season. 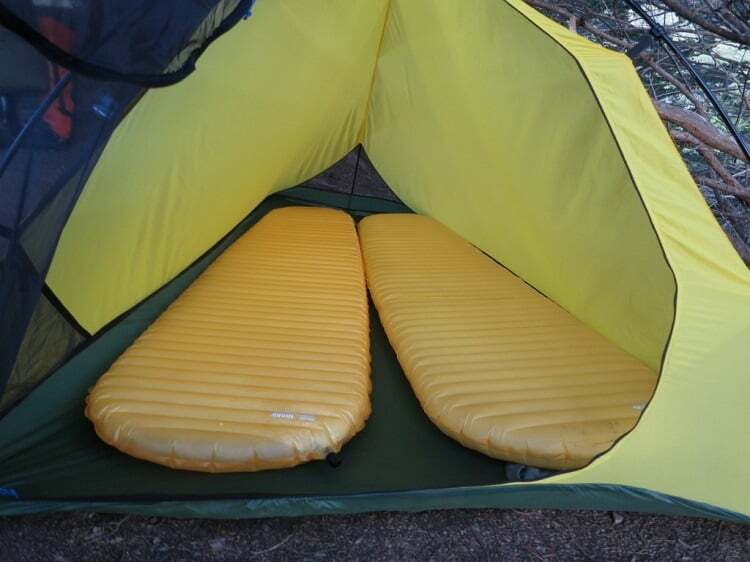 Self-inflating sleeping pads may be left with the valve open and semi-inflated. Air-only pads can be totally deflated and either hung up in a closet or carefully placed back into the stuff sack. The right sleeping pad can completely transform your camping experience and put an end to those restless nights in your tent. We hope that with the help of this guide, you’ll be able to confidently choose the right sleeping pad and begin enjoying your camping trips that much more. Let us know, in the comments below, what your favorite sleeping pad is or any other tips for helping fellow campers get a better night’s rest.